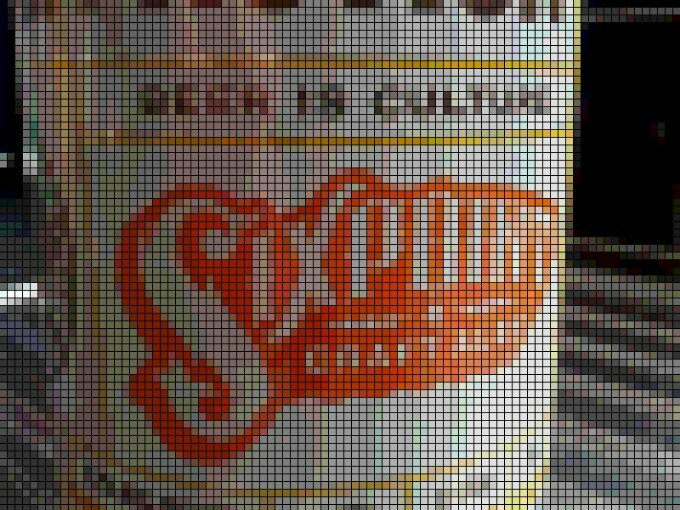 You know what’s awesome about Sixpoint beers? I have no goddamn idea what style they are. That’s because they don’t tell you. I looked all over the cans and couldn’t find anywhere where they’d listed the style of the beer. There’s no ‘‘pale ale’’, ‘‘IPA’’, ‘‘stout’’ ‘‘lager’’ or whatever. Instead, they just go by their product name – ‘‘The Crisp’’, ‘‘Resin’’, ‘‘Bengali Tiger’’, ‘‘Sweet Action’’. Sure, you might be able to take a stab at some of the styles based on their name – Crisp could be a lager, Resin an IPA. But you don’t know for sure. Yeah, you could know for sure if you logged onto the Sixpoint website and read how they define it – but go with me on this. You look at the can in the shop, or even as you pour the beer and you have no concrete idea what you’re about to drink. And I think that’s great, because it means I get to drink the beer without any preconceptions about what it will taste like. That’s important – if I drink something classed as a lager, I have already to some degree made up my mind about what the beer will taste like. The same as if I was drinking an IPA, a barleywine or whatever. For me it’s important to taste things with an open mind and you can’t get more open than ‘‘I have no idea what to expect from this beer’’. Also, it means I get to decide for myself what the style is. That’s important because, it seems to me that styles have become quite the obsessions. People seem far too keen to try and wedge every single beer into a predetermined set of styles and expect brewers to make beers to a certain style. This is despite the obvious fact that the styles came into existence to define beers that had already been created – so the styles should bend to accommodate the beers, not the other way around. So the style guidelines will always be behind the pace and some new sort of beer will foolishly be crammed into a category it only partially fits, at best. So I drank a Sixpoint Sweet Action and found it very frigging good. For mine, I felt it was a pale ale or an IPA. But when I went to check it into Untappd, it was classed as a cream ale. Which just doesn’t seem right to me. Not right at all. But I’m glad I got to try it blind – helped me enjoy it for what it was. I agree (kind of…). To me, I often think that if you’re trying to brew to a certain style, or have an “intention” for the beer, it’s pretty important. While it goes both ways, I think we’ve all had a beer that says it’s something like an IPA, and it’s really not, and you’re thinking “as an IPA that’s crap, but as an amber it’s pretty good…” I like to know what I’m (supposed) to be getting into, and whether they accomplished that is just another talking point at the pub. Agreed – while I find myself instinctively trying to locate the official style on a Sixpoint can, I really appreciate their open interpretation of beers, often blending a couple styles to suit their own instincts. It’s a nice change of pace!